quite possibly the best blog you will ever stumble upon. : Bed bugs!! I wish I had this Bed Bug! Doesn't it look super comfy? 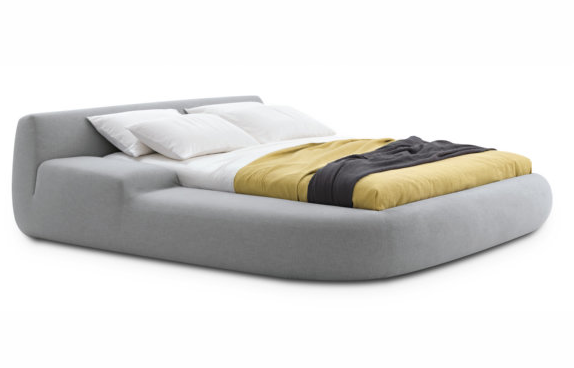 Poliform (by Paola Navone's) has this amazing bed, designed in 2010, and gives the illusion of sleeping on a giant pillow, or a cloud in the sky! I just don't know how much it costs, but I bet it's not cheap. (Note: I don't actually want beg buds, per se, but just this particular one). quite possibly the best blog you will ever stumble upon. What is this blog, you ask? We are a blog for those concerned with the finer things in life, like cheese, furniture and other things that are important in life. Check out our Tokyo Design Guide! A cool dish rack thing! Japan - the land of trashcans/magazine holders! A cool couch that I want!! A door stopper and weight thing! Due to the enormity of email we receive, we decided to post some FAQs here so that everyone may benefit from our reader's questions. Q. What is Cheese Lovers International? A. Thanks for asking! CLI is a consortium of people who are in love with cheese, but mostly we love cool, modern furniture and cool products for the home. While occasionally we may write about cheese, we spend more time thinking about furniture. If this is confusing, chalk it up to the fact that the editors are attempting to juxtapose this website to the numerous socio-economic conundrums that exist in modern society. Indeed, we are confused because that is the permanent state of human civilization. Q. Who do you work for? A. CLI is a private entity that does not "work" for anyone but its readers! Q. Can you sell me the products that are featured on your site? I don't want to go through the hastle of dealing with the producers themselves. I love middlemen and women! A. While we would love to sell you products we feature, our role is merely to showcase things that we love. Sorry! Q. Can you tell us what your favorite cheese is, please? A. Sorry, we at CLI are sworn to secrecy when it comes to this issue. But look out for numerous opportunities to ascertain this answer on our numerous questions in product descriptions. Q. Where do you get all these fabulous products? You seem to find very cool things, and I think that's great! A. Why, thank you kindly! We have an intern and research team that spends time perusing the world wide web, as well as occasionally engaging in research trips to uncover more and more cool products.